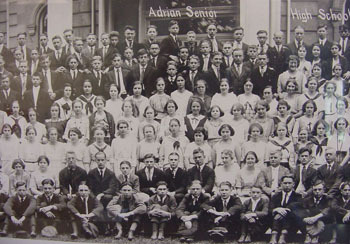 Adrian Schools Educational Foundation : AHS Alumni Association : Become an Association Member! A Maple Alumni Association membership is only $10 ($15 per couple) and gives you two Alumni Maple leaf newsletters and periodic email updates. You also receive savings on entrance to any APS arts or sporting event. The AHS Alumni Association is responsible for the football Homecoming hospitality tent, the "Maple to Maple" program which gives alumni the chance to mentor AHS students, among other outreach activities.